Does oNecklace really do free worldwide shipping? Yes, we can send your oNecklace purchase to most countries in the world. Which shipping methods does oNecklace offer? oNecklace accepts all major credit cards and payments through Paypal and 2checkout. Once in "checkout" below your order is a "Promotional Code" box. Enter the code and click "apply" Your discount will appear to the right. I have a special request for my oNecklace order. How do I do that? For every item there is a "Special Requests or Comments" box. Write your request as clear as possible and we will do our best to comply. Yes! Try using the Name Preview Tool found on the top right corner of your screen. This will give a rough idea of how your name will look in different fonts. To get an exact design send us an email requesting your name in a desired font and the oNecklace graphic designers will gladly create a design for you. In what order do I place the letters for my monogram? Check out in Tips our handy Monogram Guidelines. It will guide you step by step to create your very own personalised monogram piece. What chain length should I order? Check out in Tips our post called Choosing the Right Necklace Length for help finding the perfect length for your chain. Can I personalise my oNecklace Order in other languages? We can personalise your oNecklace order with any language as long as you send us an example of the writing and letters. How can I change my order once it has been made? If you want to change your order you must contact us within 12 hours of placing the order. Go to contact us and send us message requesting the specifications of the change. Can I order a necklace with special characters (#, @, &, $)? 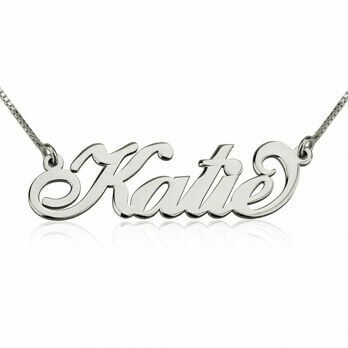 You can personalise your necklace with any special characters when placing your order. 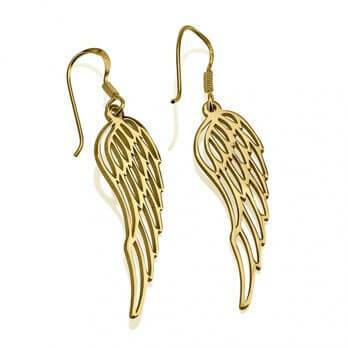 Is the oNecklace jewellery made out of true precious metals? Yes, of course! All of oNecklace precious metals are stamped with 14K (gold) stamp or 0.925 (sterling silver) stamp. 24K Gold plating is a method of depositing a thin layer of gold on to the surface of sterling silver so it will bear the 925 or 0.925 stamp. Can I have my order shipped in a gift box and bag and with a gift message? You can add a oNecklace gift box and greeting card to create the perfect gift. The gift box and optional gift message can be added whilst shopping on each individual product page or in the shopping cart. Is it worth making my necklace double thickness? 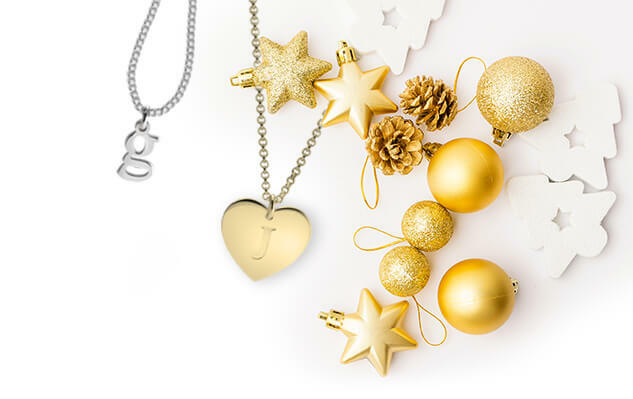 Although it costs a bit more oNecklace definitely advises you to upgrade your 14K gold piece to double thickness for the sake of durability especially for longer names and words. The regular thickness is 0.4 mm while the double thickness is 0.8 mm. Can I add a Swarovski crystal or diamond to my oNecklace purchase? Check out our Diamond and Birthstones name necklace collections. There are also some products in the "Love Necklaces" that you can personalise with a birthstone swarovski crystal. You can return new, unopened jewellery sold by oNecklace.com within 60 days of delivery. Please note that there will be a 30% restocking fee on all items. I received my order but it is not correct. What do I do? If you have any issues with your order, make sure to contact us as soon as possible by sending us an e-mail to customerservice@onecklace.com so that we can move swiftly to correct the problem. If a resolution is not achieved, a full refund will be given back except for shipping and handling expenses. I would like to sell your jewellery. How do we get in touch? Join our oNecklace Wholesale program. Check it out by clicking on Wholesale on the bottom of the screen. You will find there more information on our services. Contact us at wholesale@onecklace.com for more questions.